The transformation of space requires trusted design, products, & installation. It all starts with planning & research based on your specific wants & needs. Let’s dive into this bathroom transformation! 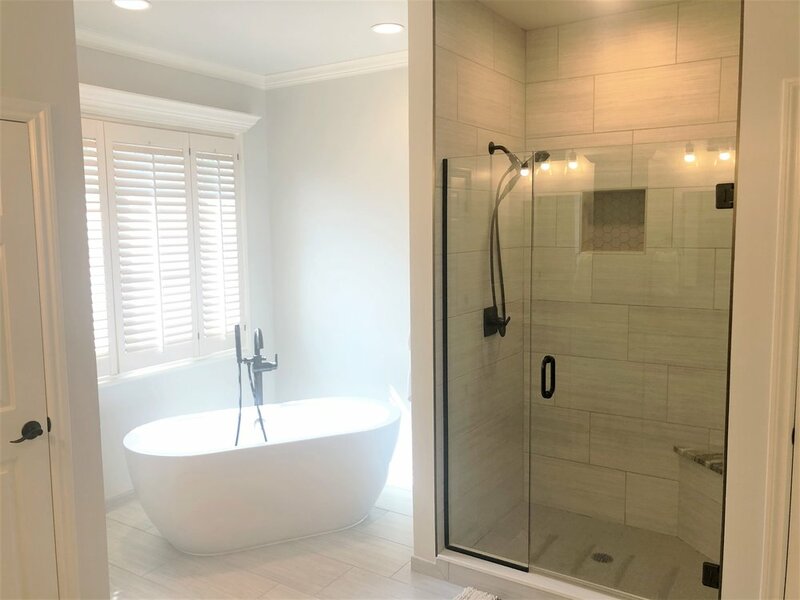 The transformation of the tub & shower area is absolutely breathtaking! Some key design elements in this area include the free standing tub & shower design featuring a beautiful glass enclosure, bench, & shelf. This bathroom had an open & functional layout with an outdated design. 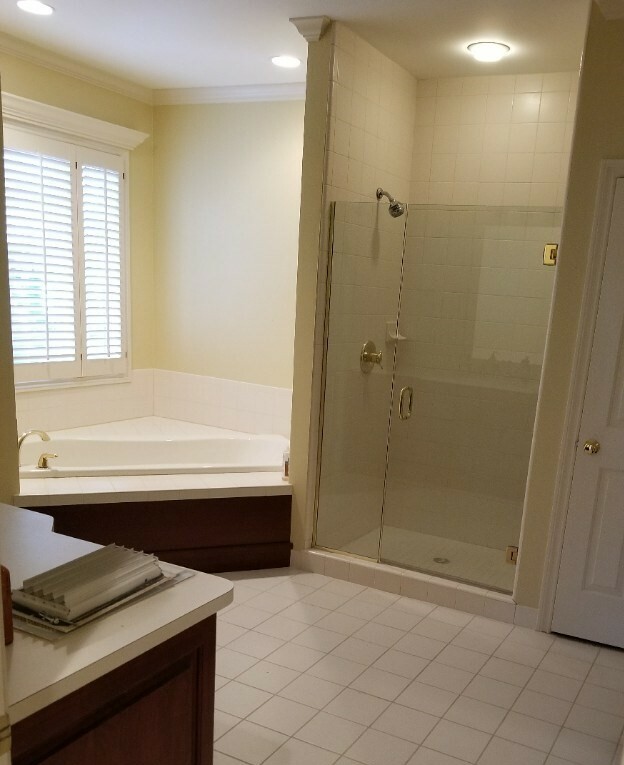 Leaving the tub & shower in the same location does seem like a design risk at first, but not if the current layout makes sense! The decision to work within the existing layout ended up saving these homeowners time & money. 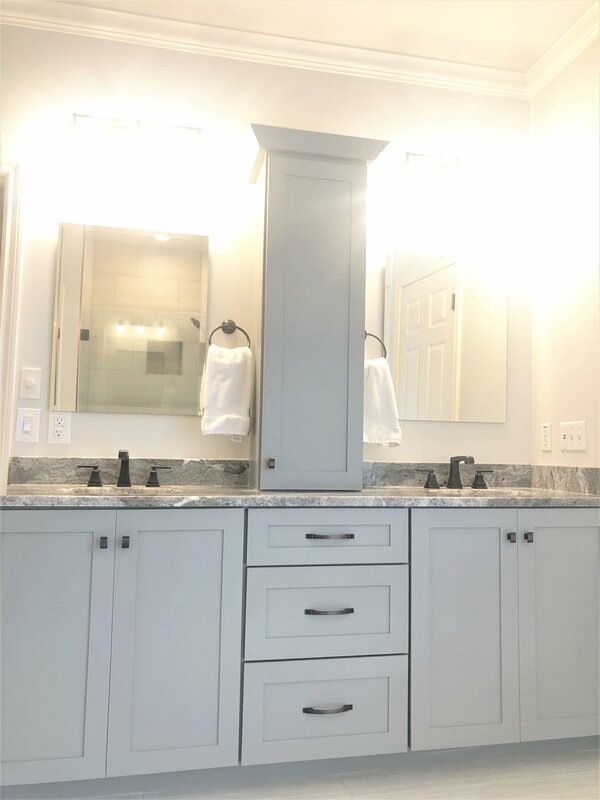 With plenty of added storage & flair, the new double vanity is the perfect addition to this master bathroom. Paired with the updated luxury vinyl flooring, the homeowners style is evident throughout the modern renovation. A bathroom renovation is only as good as the design, products, & craftsmanship put into it. This modern design was created to flow seamlessly with the redesign of the other areas of the home as well. Check out the updated open concept kitchen & living room here. Need some design inspiration? Check out our design inspiration showcase.